After info on EDF business energy? Read on to find out more about the supplier and how to switch the gas and electricity for your large or SME business. Bonjour and bienvenue to GoCompare's guide to EDF business energy! Why are we getting all Gallic in your grill? EDF means Electricite de France and is owned by the French state. Zut alors! EDF Energy splits its contracts into two groups depending on the size of your business. If you're an SME you can access certain contracts. As a rough rule of thumb, if your workforce is under 250 people, then you're an SME business. SME stands for small and medium enterprises. If you're a large business or in the public sector, there's some quite different contracts available to you. But no matter the size of your business, EDF Energy offers both fixed and variable tariffs. As a quick aside, are you looking for EDF Energy for domestic customers? Fret not, we got a guide for that too. Which types of tariffs do EDF Energy offer for your SME business? EDF Energy is one of the 'big six' energy producers in the UK. As such, you can sort out both your electricity and gas needs with a dual fuel contract. And those contracts can come in a couple of different formats depending on what your business needs. You can get EDF business electricity and gas on a fixed tariff. What that means is that the price you'll pay for your energy won't fluctuate across the term of your contract. Also the length of your contract can vary to suit you. The usual advantage to such a contract is that there's no surprises, you'll know exactly what you'll pay. That's one less thing to worry about in the budget, right? The EDF business energy fixed tariff may be called Fixed for Business. EDF Energy may also offer a short-term fixed tariff for start-up SME businesses. This electricity-only contract could also be useful if you're moving premises. If you're after greater flexibility, and no exit fees, then you might want to look at a variable tariff for your business. You could get your gas, electricity or both from EDF Energy on such a tariff. In March 2018 this was called Freedom for Business. There's one thing to make a note of though. In most cases variable tariffs are usually more expensive in the long run compared to fixed-rate tariffs. Large business or public sector? Which types of EDF Energy business tariffs does it offer for you? Looking in March 2018, gas is off the menu. EDF Energy only offers electricity to large companies. A fixed tariff can make budgeting simpler for your business. Fix a price for your electricity for a set time and know exactly what you'll pay. Yet it's not quite that simple. In March 2018, it comes in four versions. This is because you can set the price for different elements of your electricity supply. These parts can include the wholesale price, the cost of delivery, and the service charge. How much you want to fix and how many you're happy to vary will help you decide what type of EDF Energy business tariff to opt for. With its fixed rate tariffs, EDF Energy can also supply you with low-carbon electricity. This green energy is called Blue for Business because colours are fun. Choosing a low-carbon plan is good for the environment and may help you meet emissions targets. Does the amount of electricity your business uses change lots over the year? Then a variable energy tariff may better suit your needs. And you're in luck, as EDF offers a bespoke variable tariff. Yet you won't necessarily be using green energy. Blue for Business is only available on fixed business tariffs. Flex Purchasing Electricity Contracts is the name EDF Energy uses for its variable tariffs for large businesses. How much do EDF Energy business tariffs cost? There's no set answer. How much you'll pay for your energy will depend on your level of usage. Also when you use energy can impact on price, as some energy providers will charge less for off-peak usage. On top of this, some tariffs are fixed to wholesale prices, which can change. EDF Energy business - What should I do at renewal? When it comes to SME businesses, if you don't switch tariffs at renewal, you'll be moved onto EDF Energy's Easy Fix tariff. You should get a letter in plenty of time ahead of the end of your contract. Are you a large business? EDF Energy will contact you to discuss your needs and a new quote. If you don't agree a new contract, you'll switch to a variable rate. This is likely to be more expensive for you. So make sure you speak with EDF Energy before your renewal date. On its website, EDF says 8 out of 10 SME customers choose to stay with them. Yet customer testimonials are hard to come by. Also Ofgem only seems to cover domestic users when it comes to satisfaction surveys. As a business customer, you don't get the Energy Switch Guarantee like domestic consumers do. Yet EDF Energy reckons it can switch you within three weeks anyway. You can also pick a changeover date up to 150 days in advance. EDF can also offer to deal with your previous supplier. This is the case for SME businesses anyway. 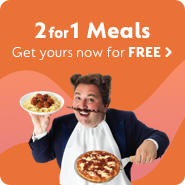 GoCompare is not just for domestic-use customers. We also offer price and policy comparison for businesses. There's always time shop around and find the right deal for you and your company.